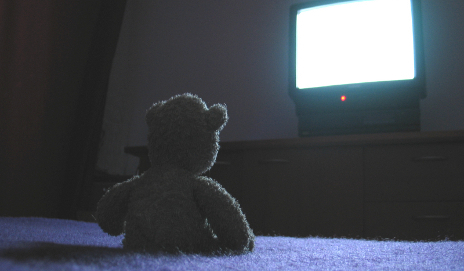 One of my bad habits is that I don’t switch off the TV at the socket before I go to bed – it drives my husband insane. But, according to our latest survey, I’m not alone. Do you switch off your tech products at night? It seems most of us leave technology products on at night. Of the 1,496 people we asked, 98% have a TV, 96% a printer and 80% a desktop PC (despite talk of the latter’s imminent demise). Of those who own these, just 60% turn off their TV, 71% their printer and 60% their desktop computer at night. In these times of spiralling energy costs, why aren’t more of us switching off our tech before we hop into bed? The main reason I don’t switch off is, like over half of our survey respondents, because it’s too much hassle to do so. Writing that here makes it sound like a poor excuse. Is it really too hard for me to take the few steps from the sofa to the TV’s plug socket? Laziness is a poor excuse, but physical design is to blame too. As my colleague Al Warman wrote earlier this year, many TVs no longer come with a physical on/off switch – their power buttons will only put them in standby. This means that you’re forced to reach for the socket. And in our survey, around one in ten blamed the lack of a hard on/off switch for not turning off their tech at night. The second most popular reason for not switching off is that four in ten believe that the amount of money saved will be minimal. And there’s some truth in that. Our tests reveal that most TVs consume less than 1.5 watts when in standby, meeting recommendations set out by the Energy Saving Trust. While the savings may be small, it seems crazy not to switch off these devices at night. Even with the move towards energy-saving light bulbs the only light left on in our house at night is a small night light in my daughter’s bedroom. This night light serves its purpose, whereas there’s absolutely no need for our TV, desktop and printer to stay on at night. I can’t remember the last time I engaged in a spot of late night printing, or web surfing for that matter. And if you multiply the energy used by the 29% not switching off their printers, the 40% running all-night desktop computers and another 40% leaving their TVs on standby, it doesn’t take long to realise that collectively huge savings could be made. With winter drawing near and my own energy bills set to rise I’ll be changing the habits of a lifetime and turning off my tech products at night. My husband will be delighted. I’m not sure being lazy is the main cause for not switching off TVs and other kit. In my lounge the sockets are behind the TV and Hi Fi units and therefore almost impossible to reach. My solution was to have an electrician fit a switch in an easy to reach place that controls the supply of power to all the sockets used by the TV, DVD, Sky box, etc. So now at night, one switch kills the power to all of them – simples! OK this one isn’t good news – I work offshore for 6 weeks at a time and don’t even turn my PC off when I’m away as I access it remotely on occassion. Thank you for the suggestions. I forgot about the microwave oven and the router. But I must leave the phone on, in case of emergencies. Since I started switching my oven light of and using central heating less, my bills are lower. But I’ll confess to being guilty of leaving my PC on during the whole day, even when I’m not sitting at it or not being as efficient as I should with my electric oven. I also tend to work at night, using up electricity to light the room. I put my PC in hibernation mode. I always thought that this switched it off. Also, must one pull the plug from the socket, or is it enough to use the power off button, with the appliance still plugged in? Thank you for the idea of unplugging when one is away for an extended period. 2) if everyone made the effort, giant conglomerates would notice we as a nation are not creating demand meaning we can get a saving soon! Think of the bigger picture!! It’s not just about laziness.. it’s incredibly inconvenient in some cases to turn everything off, and not always practical in others. I leave my computer running all night.. it’s often working away on things for me anyway. I have other devices left connected to power points too, like my stereo and speakers, 4 external hard drives, kettle, and all white goods and major kitchen appliances, many of which have switches you cannot easily reach. We all want to cut our bills of course… but it is the year 2013 right.. it kinda annoys me that we are all being expected to put on extra layers of clothes in Winter in order to save a few pounds here and there.. stumbling around in the dark etc. The real solution to the problem is to push harder for new forms of energy production and a phasing out of the ones which pollute the environment or which are inefficient. We also should get rid of all these large private companies which increase the costs of our energy through their need to make large profits. Why can’t our taxes pay the infrastructure for the rather essential modern-day need of energy for homes and businesses etc.. I think these basics should be state-owned, and run at a lower rate of profit, which would be funneled in to expanding and improving the service in future, instead of lining the pockets of a handful of super-wealthy overseas investors. Why should we freeze our butts off to stop them from getting rich. Let’s just cut them out of the equation and turn our attention to more important things. Politically I absolutely agree with everything you say. Additionally – a point I have made before – I also wish that Which? and politicians would campaign / legislate that all appliance switches must be “hard on / off” – i.e. physically interrupt the incoming mains line to the appliance – since there are billions of appliances left on either because the plug is hard to reach, the user is lazy or the user innocently, and very reasonably, thinks that if they switch “off” then it really is switched off. I have to say that I am only in partial agreement with some of your arguments for knowingly leaving things on an – especially in the case of white goods – I would point out (as I and many others have before) that this is a major fire hazard, though it would not be so if the on / off switches worked as mentioned above. Bottom line, though, is that whilst ever politicians fail to act, W£which? and other pressure groups fail to lobby and users fail to understand (or are lazy) we will never satisfy the ever growing demand for power, which comes back to a political argument, so – sorry politicians, but it is what you are (over) paid for – the buck absolutely stops with Parliament. power saving but for fire safety ! plugged in which developed a fault and set fire to her bedroom ! socket when they have finished using and electrical item it is in my opinion LAZY! I cannot believe that no-one is considering or mentioning the bigger picture of the combined and quite unnecessary Global carbon emmissions and contribution to Climate Change caused by the millions of TV’s and electrical devices being left on standby at night Worldwide. To combat this problem and the ‘lazy’ consequences it has created, I think there should be legislation to force manufacturers to restore an on/off switch with rechagreable battery backup where necessary. Terry you have a problem , as you speak a multi national conglomerate with a budget bigger than small countries who tells countries what to do is lobbying TM and saying -don’t let that Terry guy posting on Which achieve his aims . Redmond wont allow you – updates/downloads / system security /etc mostly downloaded in the “wee sma , hours ” otherwise -halfway through working on your computer, all of a sudden it freezes due to 100 % CPU.. Web full of complaints when the updates don’t take and your computer keeps on re-booting , would you rather that happened during the day ? . Same goes for “smart TV,s ” Having said all that I have LInux and yes I unplug my PC at night. Reading these reviews has cured my insomnia ! Having worked in the emergency services for over 30 years , I have seen many domestic and business fires caused by electrical items left on unattended at night ,sometimes with fatal consequences, I would therefore strongly advise people to turn off all non vital appliances at night or when going away. I use one of these (actually a slightly different model but this one seems much better actually, plus you get two of them) with a power bar plugged into it and everything else plugged into that (TV, surround sound, DVD, side lights, etc) so that they all come on and go off together when I press the TV’s remote control power button – http://amzn.to/2rXtMwu – saves loads of power and is safe as they’re all totally off overnight.